A visualization from Forms of Attraction by Emily Chu. With art from more than 5,000 years in its collection, including 470,000 objects online and 406,000 public domain images, The Metropolitan Museum of Art is one of the most reputable and important art institutions in the world. Now, thanks to the museum’s Open Access program, people can look through The Met’s collection digitally. 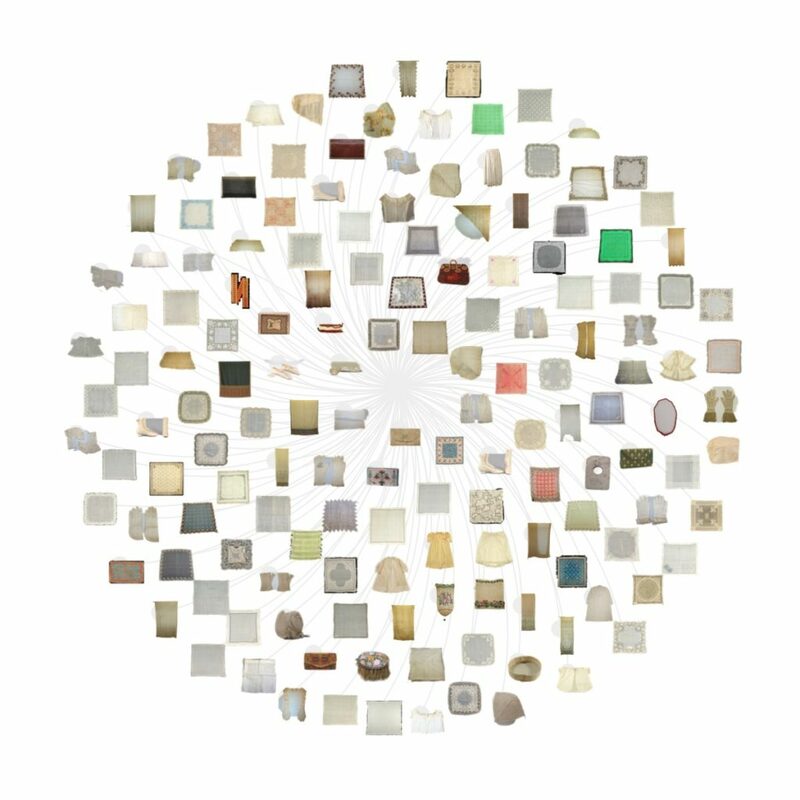 Richard The, an assistant professor of data visualization at Parsons School of Design, was inspired by The Met’s digital collections to organize a research collaboration between MS Data Visualization students and The Met. In their projects, students examined topics ranging from the exploratory and investigative to the critical and analytical, touching on subjects including gender equality in the Contemporary Art department, individual artist biographies, and the archetypical shapes in the Fashion department. The students’ projects have all been built using modern Web technologies and are hosted on Github. Professor The challenged his students to present their data in a way that was aesthetically compelling, easy to navigate, and, ultimately, meaningful. Ryan Best chose to research how the composition of The Met’s collection has changed throughout the museum’s history by focusing on the countries of origin of objects in the museum’s collection. Best and the other students’ projects are a vital resource for The Met, allowing the institution to reexamine historical and current issues with a new perspective and highlighting the important role that data and the digital archives will play in the museum’s future. Loic Tallon, chief digital officer at The Met, hopes that the Parsons collaboration, the first of its kind, will inspire future generations of museum visitors and students to use the digital archives to make exciting discoveries. The Metropolitan Museum of Art also launched a new public API (application programming interface) for the collection. The Met Collection API is a live feed of all Creative Commons Zero (CC0) data and 406,000 images from The Met’s collection, all available to users for use without copyright or restriction.